I always want to know where God wants me to be and if I am on the right track. However, I cannot literally hear His voice. At times I would feel confused and have anxiety attack about the future. I tend to forget that I must focus with my present and let God direct me. 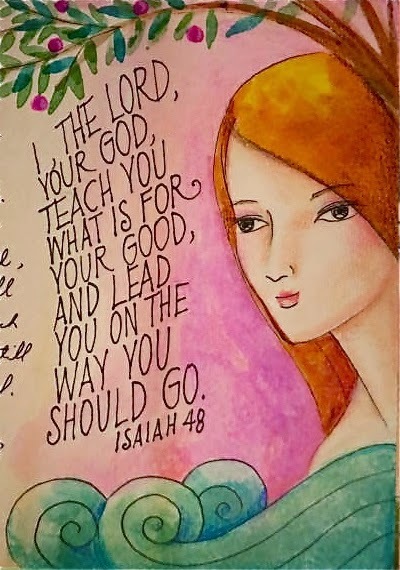 But... How would I know where God is leading me? How would I know if it is really God or just a figment of my imaginations? There are times that I would just blab about all of these to God and yet I do not hear any response. I want to justify that cannot hear anything because I am not listening. I am really clueless on how to really listen to God. I think I might have mentioned too many "really" here now. Then, there is this "free will" which is given to us. I can decide for my actions. Another but... But I have to think about where these actions will lead me closer to God. What if I thought it would? But in the end, it is only my thinking. I tried doing things which I thought would make me a better person. But it seems like I felt I pulling further away from getting close to God. How would I know if it is the right path? Most people would probably suggest that I should pray, be silent, and open myself to God. Seems easy, but not for me. How would I know if I am actually opening myself to God? Maybe, I should not be fixated thinking too much. I must relax myself from all the stress and anxiety that I am having. Probably, one cause of how I am feeling right now is my nearing comprehensive examination. I must continue studying, praying for it, and let God pour His grace upon me.